Here are some of the most often asked questions about bag fees/bans. 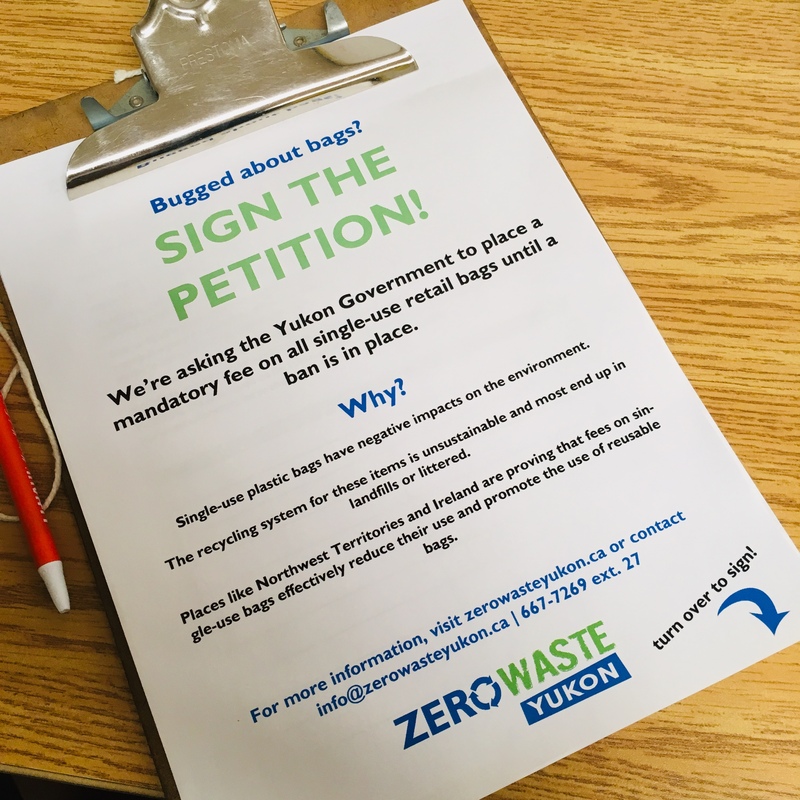 If you have a question that isn’t answered here, send it to us at info@zerowasteyukon.ca! Why a fee and not a ban? A fee structure has shown to be an effective method for changing consumer behaviour. Ireland and Northwest Territories are examples of jurisdictions where fees have been effective in reducing litter and bag use. What about plastic bag recycling? Yes, clean plastic bags are technically recyclable, but they are a very low value commodity and have low recycling potential. Less than 11% of all plastics are recycled in Canada. This highlights the need for incentives to reduce waste volumes upstream. Plastic bags are shipped south to the Lower Mainland, but a recycled bag is not made into a new bag. Generally recycled film is used to make end-use items that will be thrown out after one more use. In some other jurisdictions, film plastics are landfilled, incinerated or shipped overseas. Raven Recycling pays roughly $60-100 per tonne to recycle soft plastics, not including the price of shipping the materials. At roughly 16 tonnes per month, this is an unsustainable solution. We must stop the flow of single-use bags upstream instead of relying on recycling. Are bags really a priority? Canadians use 2.86 billion plastic bags a year and single-use bags are an icon of disposability. Reduction in bag consumption is something that can easily be accomplished using policy solutions. Policies reducing single-use bag use are an easy first step on the road to creating a circular economy, and will lead to further changes that address other problematic items such as disposable cups and other single-use packaging. Change has to start somewhere, so why not start with bags? What about bacteria levels in reusable bags? Several reports claiming dangerous levels of bacteria in reusable bags have been exposed as incomplete or flawed. Many studies funded by the plastics industry have proven to use either incomplete sample sizes or reported levels of bacteria that are no different from what you’d find on a bag of grocery store spinach. These are direct attempts by the plastics lobby to disrupt bag reduction legislation. Reusable bags are washable, and hand or machine washing decreases bacteria levels by over 99.9%. Furthermore, plastic produce bags would likely still be available free under a retail bag fee system. Revenues from a bag fee will go to the Recycling Fund, and are used to fund other recycling programs and waste reduction initiatives. What if I use my shopping bags to line my trash can? One of the benefits of a fee system is that it still allows consumers the option to purchase bags if they want. There are also alternatives to using plastic trash bin liners such as lining your bin with old newspaper or going bag free. Produce bags and bread bags could also be used for garbage. Isn’t this just another tax? Consumers don’t have to pay the fee if they bring a reusable bag. The fee also benefits businesses as they will have to buy less bags. Paper bags are more easily recyclable than plastic, but have high environmental costs in their production. Paper bags require more energy to produce and use more energy in transportation. They are however better for the environment from a litter perspective. A bag fee would apply to both plastic and paper to encourage the use of reusable bags over paper or plastic single-use ones. Have other questions about bag reduction and single-use waste? Bugged about bags? 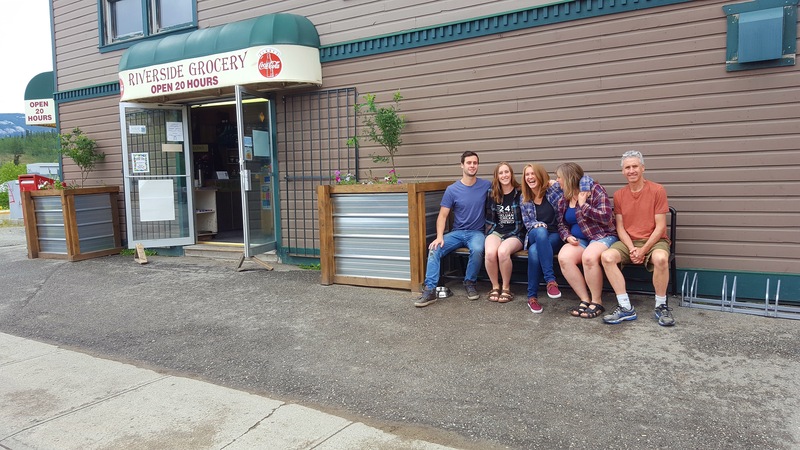 Get in touch with us at info@zerowasteyukon.ca or through our Facebook page!